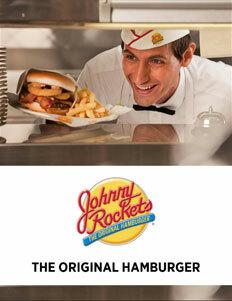 Johnny Rockets strives for fun, excitement and the best burger in the business. It’s always been about fun and entertainment at Johnny Rockets. Back in 1986, Ronn Teitelbaum founded the concept on Melrose Avenue in Los Angeles by melding elements like Johnny Appleseed and the Oldsmobile Rocket 88 into a restaurant experience that provided an escape to the uncomplicated goodness of classic Americana. Fast forward to 2015 and fun and entertainment remain a key component to the brand’s 29-year success, though James Walker, the company’s President of Operations and Development, explains that the organization brings much more to the table, particularly its exceptional menu. Over the last year, the brand continues to evolve to provide various formats – referred to internally as “expressions” – to serve Johnny Rockets guests in various venues and locations, whether it be a sports arena, theme park or at home. A modern version of the original Johnny Rockets restaurant is the Traditional prototype, which includes the brand’s signature complement of music and dancing servers. New to the list is the Johnny Rockets Express, which is a faster, pay-first counter service that’s being developed and rolled out this year; Johnny Rockets Route 66, which adds drive-through accessibility and ease to the existing formats; and Johnny Rockets At Home, which is a consumer packaged goods line that will consist of Johnny Rockets’ food products and merchandise. According to Walker, the company has no intention of stepping away from its traditional format, particularly in long-time wheelhouse locations like malls, casinos and airports. 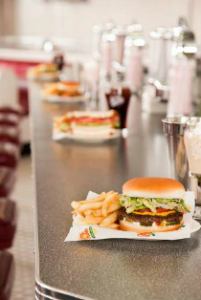 Johnny Rockets Express and Route 66 will allow the brand to expand to new, available real estate that caters to those types of facilities, something that it has not had the opportunity to do in the past due to square footage or build out requirements. The existing restaurant roster includes more than 330 restaurants, with more than 65 percent located in the United States and nearly 35 percent internationally spread across 27 additional countries, including Brazil, Malaysia, Honduras and more. Although focused on franchising, nearly 10 percent of the system is owned and operated by the corporate headquarters, which reflects a desire to continue to grow the brand internally while maintaining connection to the franchisee experience. 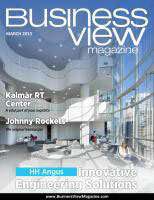 And in terms of competition, Johnny Rockets will continue to play to its strengths. When commenting on the folks with whom deals are ultimately signed, Walker beams. “Our franchisees are truly the best in the business,” he says. “The factor that’s common amongst them is that they are brand champions and are true restaurateurs focused on providing great food and experiences for their guests. Our franchisees account for 90 percent of our system and truly are the reason why we have been so successful over the years. Using the brand’s franchisee strength, Walker continues to develop relationships with new prospects who fit the mold and is seeking financially stable and strong performers. Johnny Rockets was labeled as No. 207 on Entrepreneur magazine’s “Franchise 500” list for 2015. The minimum financial requirements for prospective franchisees include a net worth of $500,000 and $250,000 in available liquid cash. The total investment ranges between $539,525 and $975,575, with a $49,000 franchise fee and a 5 percent royalty fee for a 10-year renewable agreement. Veterans are eligible for 25 percent off of all initial fees. The typical number of employees needed to run a Johnny Rockets restaurant is between 20 and 25 and 85 percent of all franchisees own more than one location. 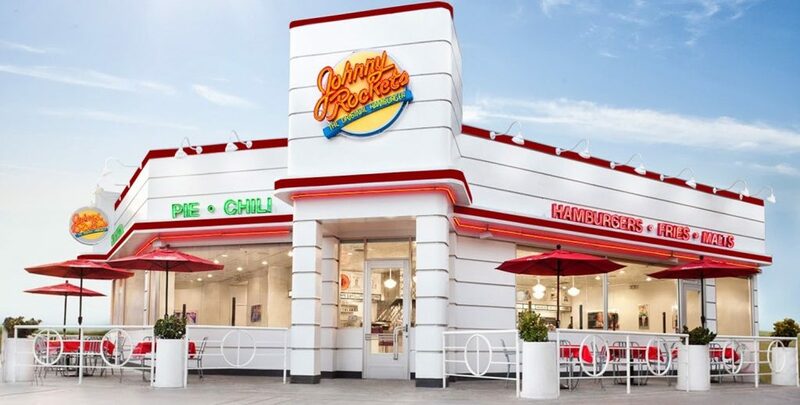 Absentee ownership is not allowed, and Johnny Rockets is seeking new franchise units in the U.S. and Canada, as well as Central and South America, Europe, Africa, Asia, Australia and New Zealand. 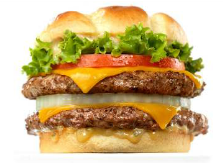 WHAT: Franchise restaurant chain whose mission is to provide a modern All-American experience. WHERE: Corporate headquarters in Aliso Viejo, Calif.